Feature #1: (start time 5:09) Did you know that Colorado, and for that matter most states, have their own “state climatologist” – an expert who keeps tabs on the changing climate and its impacts in the state. In Colorado’s case it’s Nolan Doesken. He’s based out of the Colorado Climate Center at Colorado State University. Mr. Doesken also heads a nationwide citizen-science project called the Community Collaborative Rain, Hail and Snow Network. How On Earth co-host Susan Moran interviews Mr. Doesken about the network, as well as a recently released Colorado River Basin Water Supply & Demand Study, which suggests we’ll be thirstier and thirstier in the future. 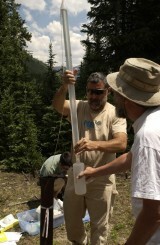 Mark Williams sampling a groundwater well near Buena Vista. Feature #2: (start time 16:00) Water is such an essential — perhaps the essential — resource for life that it is considered as a key ingredient for life anywhere in the universe. No surprise, then, that it has become a battleground, especially in the Western states like Colorado that are dealing with drought conditions and higher demand for clean water to support a ever-increasing population. Dr. Mark Williams, professor of geography at CU Boulder talks with co-host Joel Parker about his research into the environmental and human health impacts of energy development and mining on the quality of water in our aquifers. Main Feature (starts at 5:25). 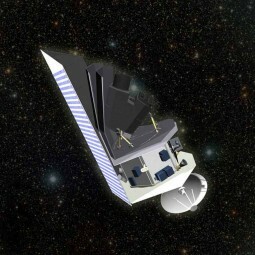 We talk with Dr. Robert Arentz from Ball Aerospace in Boulder about what’s new and interesting at Ball and in space missions in general including asteroid impact hazards on Earth and what can be done about it. Main feature (6 minutes in): We’re in that time of year when animals hibernate. Before they started their long winter’s nap, they fattened up, so they can make it through the winter. 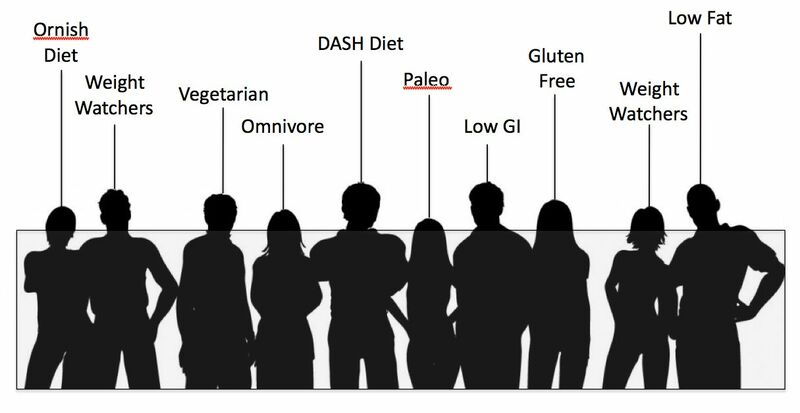 According to CU Health Sciences researcher, Richard Johnson, we humans also evolved to put on weight to make it through leaner times. But for us, it’s not a change of seasons that gets the weight gain started. It’s a specific trigger, called, “Sugar.” Specifically a kind of sugar called fructose, found in honey, fruit juice, corn syrup, and even regular table sugar. 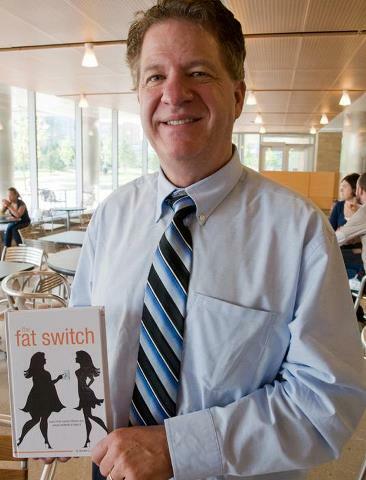 In his new book, The Fat Switch, Johnson traces the increasing availability of this fructose sugar among humans and how it has now made people fat, and sick for thousands of years. For instance, you think the pharoahs were all buff, and skinny? Many mummies have lots of skin folds, which means that, as living humans, many were fat. Johnson also talks about kings who loved sugar so much, sometimes they made sugar statues . . . and ate them . . . leading many to be very fat and prone to modern diseases such as diabetes and heart attack and stroke. 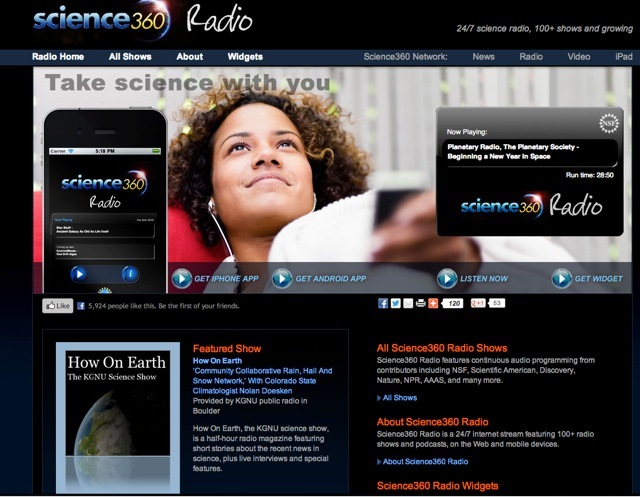 Now let’s listen in, as How on Earth’s Shelley Schlender talks with Dr. Richard Johnson, about how sugar affects children. They begin with how too much sugar can make a person’s body get stuck, storing the sugar as fat. 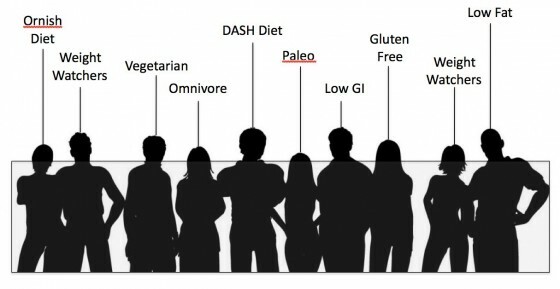 The American Gut – What’s in YOUR Gut? 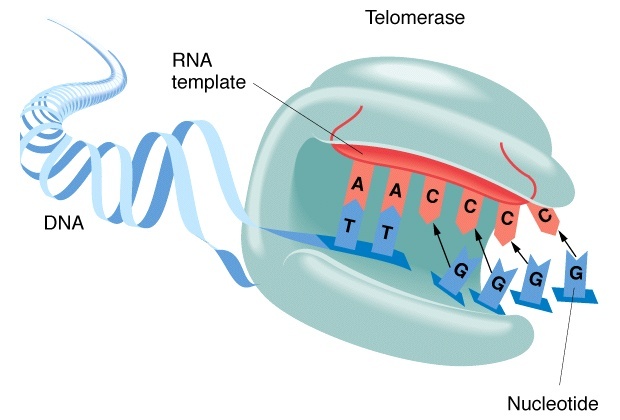 We share three new findings that include contributions from Colorado scientists: 1. Diane McKnight coauthors study about Bacteria that thrive in a frigid hell-hole – the pitch-dark, super-salty, poisonous Lake Vida in Antarctica, 2. William Colgan offers new ways to calculate a glacier’s melting rates, 3. Alicia Karspeck offers a new weather forecast – Cloudy with a Chance of Flu? (6:00) Then we talk with Jeff Leach, founder of the Human Food Project, which has teamed up with CU researchers who include Rob Knight to create a crowd-sourced, crowd-funded way to learn more about the microbes that live in us and on us. The new project is called The American Gut. The deadline to sign up is January 7th. Today on How On Earth we speak with Dr. Bernie Krause about how soundscapes can help us understand the health of ecosystems. Dr. Krause has been recording the whole sounds of nature all over the world for 40 years. 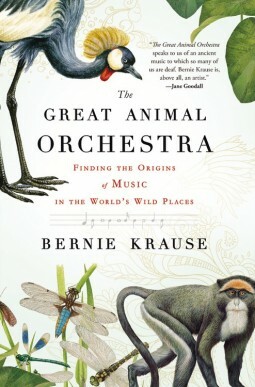 His new book is The Great Animal Orchestra: Finding the Origins of Music in the World’s Wild Places. Clean Tech Nation (start time: 4:57): Over the last few years renewable electricity generation has doubled, thanks in part to President Obama’s 2009 stimulus package. In fact, many clean technologies and industries have taken off, including solar, biofuels, green building and electric vehicles. But the stimulus money is about to run out, as is the production tax credit for wind development. 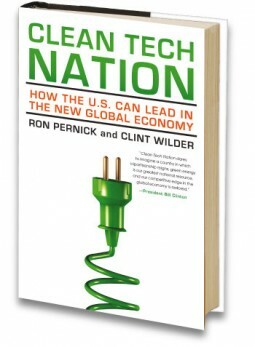 To make sense of the current status of and future prospects for clean tech, co-host Susan Moran interviews Clint Wilder, co-author (along with Ron Pernick,) Clean Tech Nation: How the U.S. Can Lead in the New Global Economy. Wilder and Pernick run Clean Edge, a clean-tech research and advisory firm. 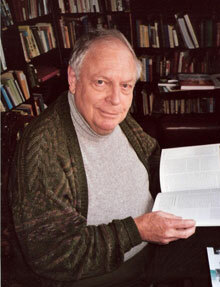 Dr. William Hay of the University of Colorado in Boulder. Feedback in Climate Models (start time: 14:00): We are witnesses to unprecedented changes to the earth. Great storms and melting ice caps. 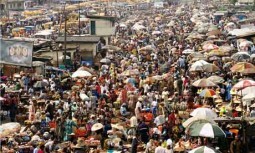 Scientists say these events are related to the carbon we are dumping into the atmosphere. But even the scientists are stunned by the speed and scale of melting sea ice and ice caps and sea-level rise. Dr. Bill Hay, professor emeritus of geology at CU-Boulder, talks with us about why scientists haven’t been able to keep up with mother nature. As bad as the drought has been recently in Colorado and other states, it pales in comparison to the nearly 10-year-long drought of the 1930s. Its unrelenting and gargantuan dust storms inspired the name “The Dust Bowl.” In southeast Colorado and other Great Plains states, children died of dust pneumonia. Thousands of cattle died or were slaughtered. Hundreds of thousands of people were forced to flee their homes. It came to be called “the worst man-made ecological disaster in American history.” On November 18th and 19th PBS will air a four-hour documentary called “The Dust Bowl.” It was directed by Ken Burns and written and co-produced by author Dayton Duncan. 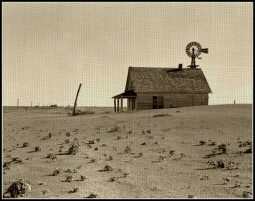 How On Earth co-host Susan Moran talks with Duncan about the film and the lessons learned –or not learned — from The Dust Bowl. The Life and Legacy of Rachel Carson (start time 6:20). The book Silent Spring, published in 1962, is widely credited for setting the stage for the modern environmental movement. Its author, Rachel Carson, an unassuming field biologist and writer, uncovered how in the process of killing crop pests, chemicals such as DDT were also killing birds, fish and other wildlife. Fifty years after Silent Spring was published, several of the worst offending toxins are off the market – at least in the U.S. – but many more persist and new ones have emerged. And they’re wreaking havoc on human health, not just wildlife. 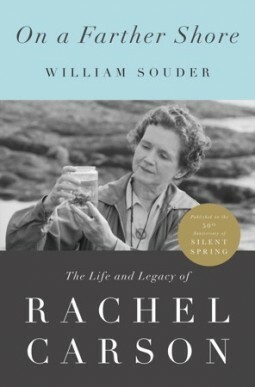 How On Earth co-host Susan Moran talks with William Souder, author of the new book On a Farther Shore: The Life and Legacy of Rachel Carson, which was just published last month to mark the 50th anniversary of the release of Silent Spring. 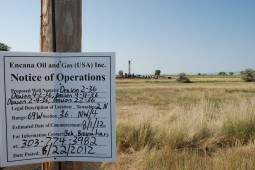 Fracking well in Boulder County, Colorado. Photo courtesy of Jim Pullen. How can we best live with natural gas development? 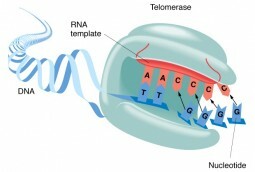 A University of Colorado team has just been awarded an NSF grant to tackle the problem. Here to chat with us about the study is Dr. Joe Ryan, the lead-PI of the multidisciplinary team. And the lead of the study’s air quality task, Dr. Jana Milford, is also with us.